Interview with Benedict Salter: Bailey Howard in Betwixt! You are here: Home / Interviews / Interview with Benedict Salter: Bailey Howard in Betwixt! 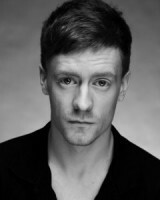 Benedict Salter, who holds a degree in psychology and neuroscience, started acting in earnest when he was in his late teens as a member of Durham Student Theatre, the union for drama at Durham University. He appeared in numerous productions, including Shakespeare plays. Together with a few friends, Benedict wrote and produced a new show for the Edinburgh Fringe 2009 that won the Sell-Out Show Award. Read our brilliant interview with Benedict, who at the time of the interview, was making his West End debut playing ‘Howard Bailey’ in the fantastic musical fairy tale Betwixt! at Trafalgar Studios. When did you first realise that you wanted to be on the stage? When I was about 8 or 9 I made the decision that I wanted to be an actor, but then I joined a drama group and suddenly became incredibly shy and got stage fright during one of my first performances. I became even more nervous about performing when I was at school, so it wasn’t until about the age of 18 that I started acting again. But the seed had begun growing early – I just didn’t pay attention to it until I was older! Did anyone in particular inspire you? Over recent years I’ve been really inspired by Sheridan Smith. She seems so down to earth, and she has a great deal of honesty in her acting. But throughout my life my parents and my siblings have been pretty inspirational. They’ve always been supportive of everything I’ve done. What does acting mean to you? Sharing experiences and being honest. I love the following quotation from Frank Capra: “I made mistakes in drama. I thought drama was when actors cried. But drama is when the audience cries.” I think acting is about helping an audience to experience exactly what you as an actor are feeling in that moment. It’s difficult, but so rewarding. My parents. If I turn out to be half as amazing as they are then I’ll be happy. I actually didn’t train. I wanted to go to university and study something other than drama before training as an actor, so I went to Durham and studied psychology and neuroscience! I applied to drama school after university and was accepted into the Royal Scottish Academy of Music and Drama, but I couldn’t afford the fees so I didn’t go. However, I did a lot of student drama when I was at Durham, and it gave me most of the experience and training that I needed. It was like working in repertory theatre – you’d find yourself working with the same actors in different scenarios, and we learnt so much from each other. Durham doesn’t have an academic drama department so all theatre is extra-curricular, and the standard is excellent. A lot of my peers did go to drama school, and I predict over the next few years a big influx of Durham graduates on the theatre scene! You are currently playing “Bailey” – a young writer suffering from writer’s block – in Betwixt! at Trafalgar Studios. Please tell us about Bailey and his role in this musical fairy tale. Bailey is forever the optimist; always seeing the magic and the goodness in everything. Even the fact that he was supposed to produce a novel and still hasn’t done due to his block doesn’t phase him too much – he sums up his life views in the first scene by saying “If I’m meant to write the book, then I’m meant to write the book.” He goes on an incredible journey of self-discovery though, and I think the conclusion he comes to at the end of the show is actually very important. Also he’s so endearing as a character – he falls in love with a disembodied head but he doesn’t care what she looks like, he just knows that he loves her. He’s also pretty good at tangoing with a head on a box, and that’s pretty impressive. Betwixt! marks your West End debut so this must be a very special time for you? It certainly is! I feel so privileged to have this opportunity and I hate to sound clichéd but it’s like a dream come true. Working with such incredible actors as well, such as Steven Webb, Ashleigh Gray, Ellen Greene, and Peter Duncan, has been inspirational. I have learnt so much in a short space of time and if you’d told me at the beginning of 2011 that this is what I’d be doing, I wouldn’t have believed you. It’s certainly very special to me, and will remain so! Trafalgar Studios is a very intimate venue. What’s it like performing in front of such a small audience? It’s actually incredibly exciting. I love performing in small venues where you can literally reach out and touch the audience if you want to (and I apologise to all those audience members whose feet I’ve stepped on during Betwixt!). It does mean that you can see how every individual audience member is reacting but it makes the atmosphere so much more electric and means we can share such intimate moments with the whole audience. I love it. Why should people go and see Betwixt! ? Because it will leave you with a smile on your face. There’s a lot of misery in the world at the moment and theatre often reflects this – don’t get me wrong, I love a good tragedy on stage, but sometimes it’s nice to go and see something that will distract you from your worries and just have you laughing. The energy and humour will carry you away for a few hours – it’s so much fun. How do you prepare before you go on stage? Nothing too exciting. Generally, I have a quick steam and brush my teeth (I’m very obsessive about doing that before a performance), and do as much of a vocal warm-up as I can. I also remind myself to keep everything fresh and new, and remind myself that this is a brand new audience who don’t know the story yet – that’s an exciting feeling. Specifically for Betwixt!, I generally have a bit of a dance with Lizzie, our stage manager! I’ve ripped the seat of my trousers TWICE during Betwixt! now! It’s all that rolling around on the floor… The second time was particularly embarrassing as I went offstage, changed my trousers, and then went back on having forgotten to put my shoes back on as well, so I had to do an entire scene with no shoes on..! It sounds ridiculous but I start the show with no shoes on anyway, so it didn’t feel strange to be walking from the dressing room to the stage while shoeless. I don’t think I’ve ever sweated so much! You have appeared in several Shakespeare plays. What is it about Shakespeare that you like as an actor? The naturalism. I know Shakespeare can be a bit daunting sometimes but the rhythm and metre of the text is so clever that if you just go with it and listen to what you’re saying, it really carries you along. Also Shakespeare gives you the chance to explore such depth of character, it’s impossible not to enjoy it as an actor. He wrote some of the funniest plays we’ll ever know, and yet also some of the most tragic. There is no greater exploration of humankind than his collection of plays and I think that’s remarkable. What other parts would you love to play (in any musical/play) and why? Oh gosh, so many. Iago in Othello, Lysander in A Midsummer Night’s Dream, Emmett in Legally Blonde, Katurian in The Pillowman, Henrik in A Little Night Music, Dan in Night Must Fall. There are some parts I played as a student that I’d love to recreate professionally – Benedick in Much Ado About Nothing, Mephistopheles in Doctor Faustus, and Prince Von Berg in Incident at Vichy. I don’t think these parts all fit into one ‘type’ but I love to push myself and experiment with characters. If you could go and see any West End musical or play tonight, which one would it be and why? I really want to see London Road! I’ve heard such amazing things, but I’m not sure I’m going to be able to make it. Otherwise, I’d love to see Top Girls, which is happening at the same time as us in the other theatre in Trafalgar Studios. We keep bumping into the cast members backstage and they’re lovely! Is there anyone you would really like to work with? There are so many! David Tennant, Sheridan Smith, Julie Walters, Imogen Stubbs, and Benedict Cumberbatch have really inspired me over the years. I would also have LOVED to act with Pete Postlethwaite; he will be missed a lot. Betwixt! is not the first fairy tale you have been involved with. You wrote and produced Who’s Afraid of the Brothers Grimm? for the Edinburgh Fringe in 2009 and won the ‘Sell-Out Show’Award. Please tell us about this experience! It was crazy! I did it while I was finishing my Masters at university and it nearly killed me, but we had so much fun. A few friends and I decided that we wanted to take a new show to the Fringe, so we did just that. We tried to aim it at a family audience so we could attract as many people as possible, which we discovered was quite a niche. There were a lot of families in Edinburgh searching for a show that could entertain children and adults of all ages, and I think we managed it quite well. It involved a lot of fairy tale characters, the Brothers Grimm, a talking tree, and a Britain’s Got Talent-style send-up (the three little pigs were the judges). Actually just thinking about it now makes me wonder how we made it work! Would you like to write more plays (or musicals) in the future? I love working collaboratively – I love devised theatre and improvisation, but I don’t think I’m good enough to ever sit down and write another play. I’ve got a few ideas buzzing around in my head but I’ve never been brave enough to make them reality. Who knows? Maybe in the future I’ll put pen to paper… but right now I’m happy working with writers who know what they’re doing! What are your long-term ambitions – on the stage or off it? I want to try out so many different things in theatre and elsewhere. I never thought I’d be starting my career in musical theatre, so it’s given me a taste for trying styles of theatre I never thought I would. Whatever my ambitions are, I just want to be happy and be sure that I seized every opportunity that came my way. I’d just regret it if I didn’t. I also want a dog. But I don’t think you can really call that an ambition. What do you usually do when you’re not working? Sleep! And basically anything that relaxes me. I play the cello so I’ve been doing a lot of that recently, as it takes me out of the Betwixt! world completely and gives me something else to focus on for a while. It’s also very stimulating and enjoyable. I also tend to spend a lot of time eating Chinese takeaway with my housemates and watching Arrested Development repeatedly. Sorry. I’m a bit dull! Just – thank you! The support for Betwixt! has been overwhelming and it’s been such an enjoyable experience, and it wouldn’t have been the same without our loyal fans. Thank you also to my family and friends for just having faith. Thank you so much for this brilliant interview, Benedict and all the best for the future!